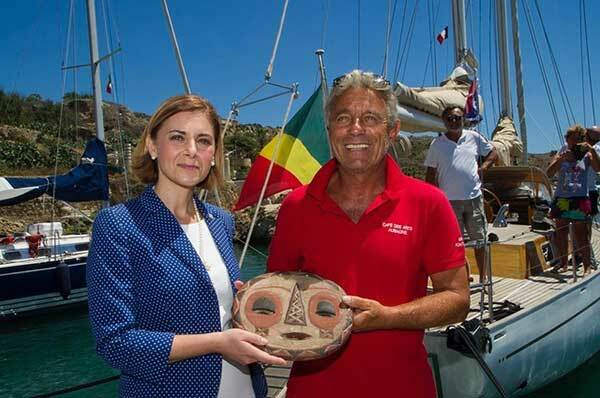 At a press conference held at the Mġarr Marina in Gozo, Yachting Malta officially welcomed the Trophée Bailli du Suffren fleet. Hailed as the Mediterranean’s most renowned classic yacht race, the sixteenth edition came to a close when ten yachts completed the 580-nautical mile race, which started in Saint Tropez with stopovers in Porto Rotondo, Trapani, and finally the Maltese islands. For the first time in the races’ history, the finish was positioned in Gozo, where crews were hosted by Mġarr Marina and the Ministry for Gozo, whilst being able to sample Gozo’s unique character, history, and culinary delights. 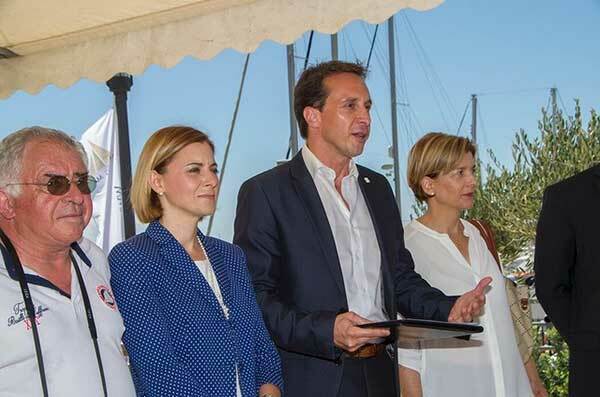 Pierre Balzan, Managing Director of the Mġarr Marina, welcomed the fleet and expressed his delight at the opportunity to welcome such an interesting fleet. 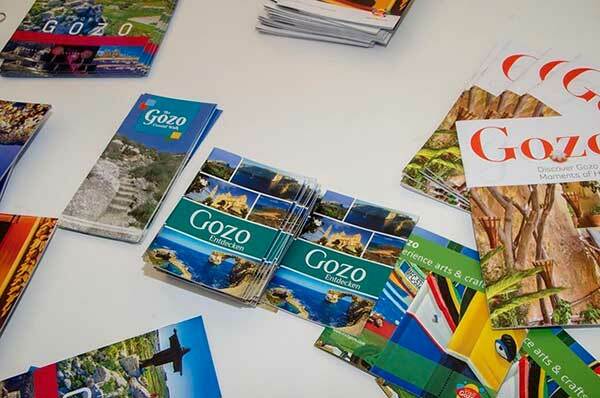 He continued to explain the Marina’s role in developing another tourism sector in Gozo. He went on to explain the Marina’s rehabilitation project of the waterfront area, which involved the creation of pedestrian zones and landscaped plazas with seating areas, enabling the enjoyment of open sea views. The founder of the race, Henri-Christian Schroeder, explained what was behind the inception of this race. The Trophée Bailli du Suffren was Henri-Christian’s idea that has been only possible with the support of his friend Christian Benoit, who is well-known in St.Tropez. In 2001, the event was launched together to create what was to become “the longest race for classic yachts in the Mediterranean – a rally of special friends, old and new.” Named after Pierre Andre de Suffren, who was Vice Admiral of the French fleet and a Knight of Malta, the title of Bailli was given by the Order of Malta. De Suffren was known by his sailors and his enemies (particularly the British) as ‘Admiral Satan’. To date, seven ships of the French navy have borne the name of Suffren in his honour. His statue dominates the quayside in Saint Tropez. This cruising race, open to classic yachts of over eleven metres, is also a ‘gentleman’s race’, which requires friendly competition, courage, and spirit between the competing yachts”, explained Henri Christian Schroeder. Competing yachts were divided into three categories – Vintage, Classic, and Spirit of Tradition. Present for the press conference was Minister for Gozo Justyne Caruana, who expressed her delight towards the fact that the organisers of this event, together with the guidance of Yachting Malta, chose Gozo as the final destination. “Gozo’s idyllic features go part and parcel with Malta’s overall prestige for sailing and yachting.” Minister Caruana explained that the Government’s strategy is to ensure that further high-level events, such as the Bailli de Suffren choose the GOZO as part of their route. Caruana congratulated all the contestants during this year’s race and the organisers involved, including Yachting Malta, for their pro-active approach in the luring of the best competitions to Gozo and Malta. The Trophée Bailli de Suffren left Gozo for a Parade of Sail early in the afternoon, thus seeing the fleet head towards the Royal Malta Yacht Club, the selected venue for the Prize Giving Evening in the presence of crews, dignitaries and guests. This event was supported by Yachting Malta, Mġarr Marina Gozo, Ministry for Gozo, Malta Tourism Authority, Malta Tourism Authority – Gozo, Malta Tourism Authority – France, Ministry for Tourism, Camper and Nicholsons Marinas (Grand Harbour Marina), Charles Grech Wines and Spirits, and the Royal Malta Yacht Club.